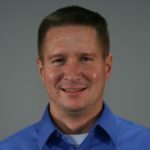 RainWise, Inc. believes monitoring weather data can assist farmers in making smarter decisions on the farm, especially with planting, harvesting, insect and disease control, irrigation, fertilization rates and crop selection. These major farming decisions are directly affected by certain weather parameters such as air temperature, precipitation, humidity, wind speed and direction, solar radiation and more. Without keeping tabs on this crucial weather data, farmers would be spending a lot more time and money to produce far less yields. The AgroMET IP-100 Internet Package facilitates transmission and access of real time weather data from the AgroMET to NEWA and rainwise.net. The Weather Company, an IBM Business, displayed the RainWise AgroMET weather station at the InfoAg 2016 trade show in St. Louis, MO, which is the premier event for precision agriculture. Other big names at this show include John Deere, Farmers Edge and The Climate Corporation. 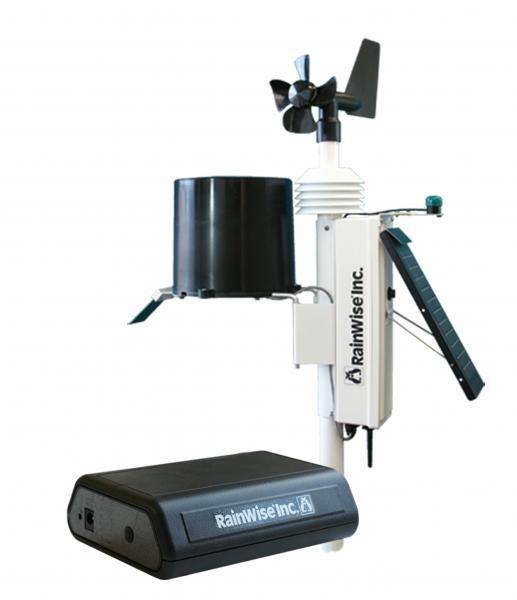 The AgroMET from RainWise, Inc., is the perfect weather station for agriculture. It includes weather sensors for precipitation, temperature, humidity, leaf wetness, wind speed and direction, and solar radiation. There are also optional add on sensors for soil moisture and soil temperature, making this weather station the optimal choice for any serious farmer. This valuable weather data will help users to make better farming decisions resulting in saving a ton of money on the farm, yielding bigger and better crops, and the opportunity to become a part of a vastly growing network of precision agriculture farmers. The official weather station authorized by the the Network for Environment and Weather Applications (NEWA), the AgroMET professional weather system has been designed with the grower in mind. It’s sleek design is 33 inches high and weighs just over 7 pounds, and offers top of the line durability and serviceability. It is the most accurate, durable, and easiest to install weather station available. The AgroMET features a powerful radio with a transmission range of up to one mile in the line of sight. It also features an industry best, real time 2 second wind speed and direction update interval. Pair this with our IP-100 internet gateway and check your weather data from anywhere at anytime with a smartphone, tablet or computer. Would you rather use cellular service? The TeleMET II offers transmission of weather data from your weather station to rainwiseNet and the Weather Underground from remote areas with cellular service.